There are a lot of Etsy shops that can make custom address stamps, but I stumbled across Simply And Pretty a couple of years ago, and have used them ever since! 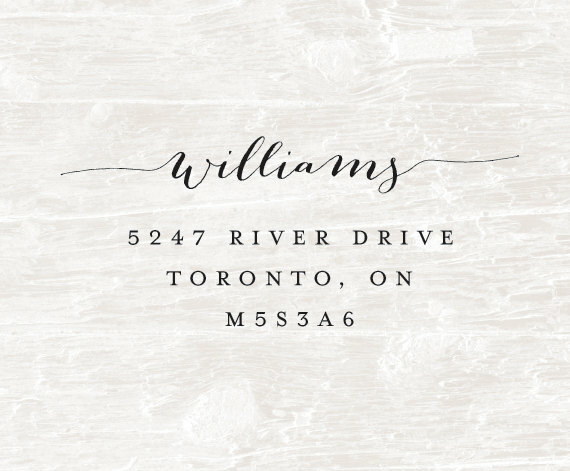 They are always able to take a custom design that I have, and turn it into either a wooden handled stamp, or a self-inking stamp (great for when you have 100+ invites to address!). One of the philosophies behind French Kiss Events, is that it is the "small things in life that matter the most, and the small details that make an event unforgettable!". And what better way to add details, then through carefully curated twine, paper and stickers?!! 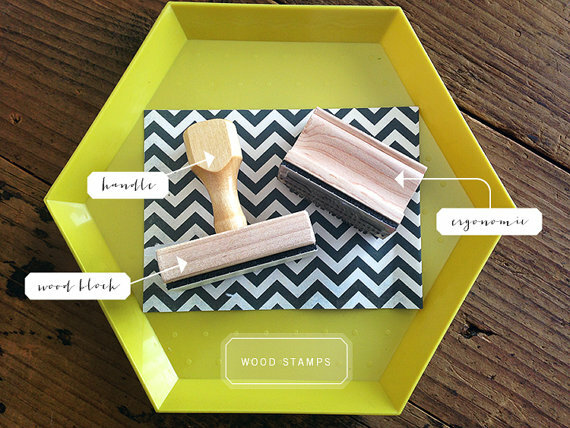 Knot & Bow is based out Brooklyn, NY, and is one of the bigger shops on Etsy. She carries some of the BEST "packaging" pieces, and I can't get enough of the Gold & Silver twine that I most recently purchased! I can't wait to start wrapping up some invites! My first experience with envelope liners involved a LOT of wasted pretty paper and ultimately a very frustrated planner! Then, I discovered that there are these crafty people out there who you can BUY them from! Amazing!! And when hunting for something specific like a sequinned liner, Etsy is the perfect place. I recently ordered some from Wakhtarr Paper Company, for an invitation design I worked on for a FKE couple, and couldn't believe how perfect they were!! And no angry late nights with my paper cutter...even better! This last one obviously has nothing to do with weddings, but I couldn't resist sharing!! One of the lovely ladies who will has joined the FKE wedding team this summer, just launched her own Etsy shop, Kater Creative. She showed me her mobiles a couple of weeks ago, and I couldn't wait to snap one up for a baby shower I have coming up! It is going to be the PERFECT addition to their nursery, and I can't wait to give it to my good friends!